Small business owners in Gulfport, Mississippi whose business supports community art projects can receive business grants from the Mississippi Arts Commission, a state agency funded in part by the Mississippi State Legislature. Both minigrants and project grants are available. Minigrants range from $200 to $1,000 and support small-scale arts projects in the community. They are offered twice a year in June and November. Project grants range from $250 to $5,000 and support larger projects that expand arts activities throughout Mississippi. Project grants are offered in March. Both grant programs require the applicant to match the grant dollar-for-dollar. Operating grants of $10,000 to $25,000 are also available to non-profit organizations who have been in business as a non-profit for at least two years and whose primary business is supporting the arts. This grant is offered in March. 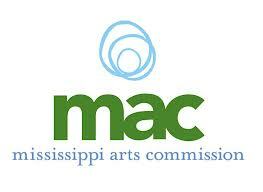 The Mississippi Arts Commission was formed in 1968 by the Mississippi State Legislature to support arts initiatives in Mississippi by awarding grants and providing other services. They also promote awareness to the public of the importance of arts in education and within life in the community.